A conventional rear wiper blade designed for OE fit and durability. Built to provide much needed visibility in harsh driving conditions, Valvoline Rear Blades feature high density rubber blade and a strong frame that meet or exceed OEM replacement quality. 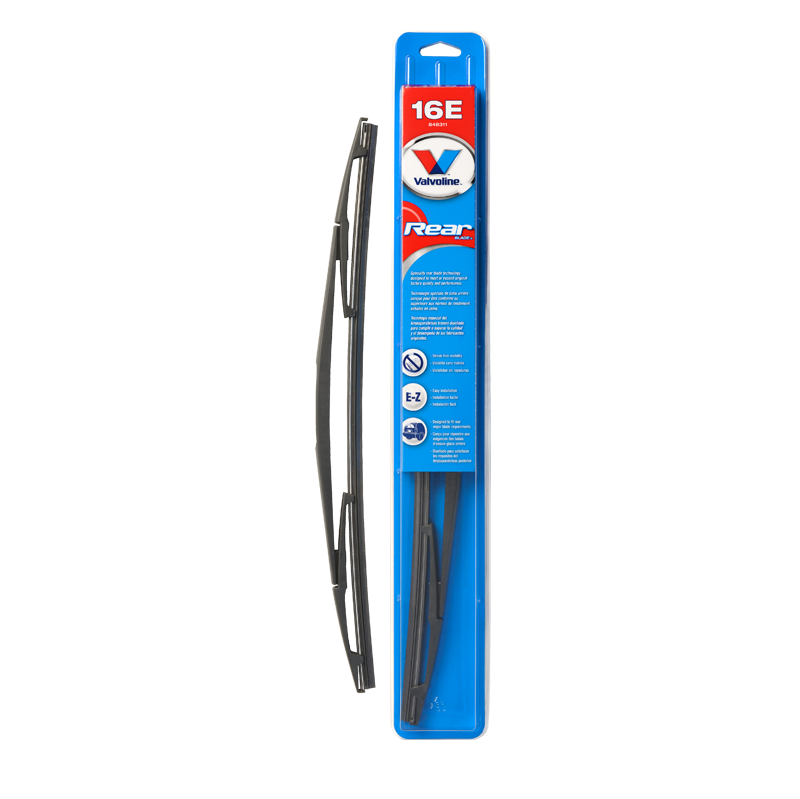 Valvoline Wipers are warranted to be free from manufacturer¹s defects in material, workmanship or design when used in accordance to the vehicle manufacturer¹s recommendations.